The triad is the basic building block of many different types of chord. Triads will more than likely be the first types of chords you come across and you should strive to learn them in all 12 keys to get a good grasp of the basics. There are 4 different types of triads that you need to learn: major, minor, diminished and augmented. You may already be familiar with the major and minor triads but the diminished and augmented triads sound more unusual. This lesson provides an introduction to triads and offers guidance on how to practice these essential chords in all 12 keys. We also then look at some exercises to get you familiar with triad inversions. A triad is a 3 note chord stacked in third intervals. The interval of a third is the basic building block for chords. Triads are the simplest of all chords and will most likely be the first chords you will learn on the piano. Diminished chords are constructed by playing the root, b3rd and b5th of the major scale . So in C, we play the major triad and then flat the 3rd and 7th. We can do the same in G, major triad then flat the 3rd & 7th. Another way of looking at a diminished triad is a stack of minor thirds. This is a very important triad to learn as you will find out when you watch the lessons of 7th chords. We use the diminished triad to build 2 different 7th chords so it’s good to have the shape firmly under your fingers. Diminished chords use the circular symbol you can see next to the chord. They are also notated with the abbreviation ‘dim’. You should be aware that these symbols are used interchangeably. What Is An Augmented Triad? The augmented triad is the same as a major triad but with a sharp 5th. Sharp fifth simply means that the fifth note has been raised by half a step. Augmented triads are the least common of the four types of triads but you do still need to understand how this chord is built. Augmented chords use the ‘plus’ symbol you can see next to the chord. They are also notated with the abbreviation ‘aug’ and again these symbols are used interchangeably. Next let’s look at changing the order of the notes of the triads — these are called inversions. 3 note chords can be inverted twice. When the root is on the bottom, we call this root position. Next we have the 1st inversion. To get from root position to 1st inversion, we take the bottom note of the chord and move it to the top. Notice that this chord sounds different even though we are playing the same notes. Next we have the 2nd inversion. To get from the 1st to the 2nd inversion, again we take the bottom note and move it to the top — again notice how this sound different. We could also find the 2nd inversion from root position by taking the top note and putting it on the bottom. Once you are comfortable with the inversions it’s time to start arpeggiating the triad shapes up and down the keyboard. 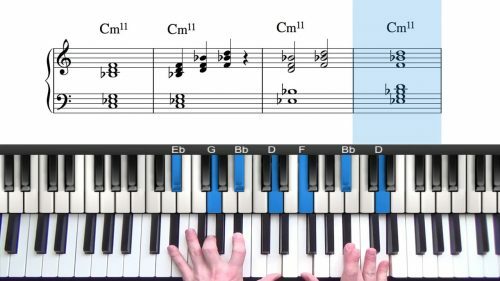 Mastering this exercise will help you when you come to improvise. 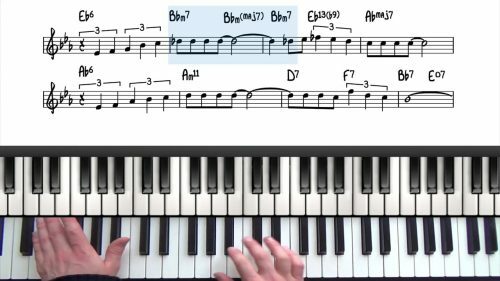 Mastering these exercises is a gradual process -- don't try to go through all 12 keys in 1 practice session if you are just starting out. 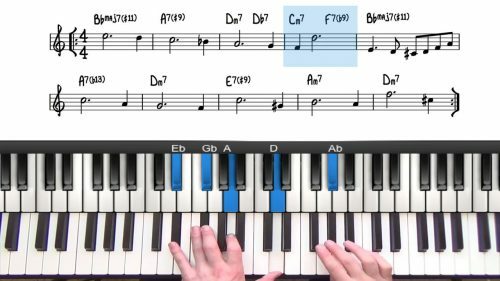 The trick is to start your practice with 2 or 3 keys and then next time pick 3 different keys and keep going until you've mastered all of them. Also make sure you pick the right tempo to do these exercises -- if you play too fast you will lose accuracy and it becomes a pointless exercise. Remember to start slow and gradually build up the speed. Once you are comfortable with the shapes, you can experiment with inversions and arpeggios.